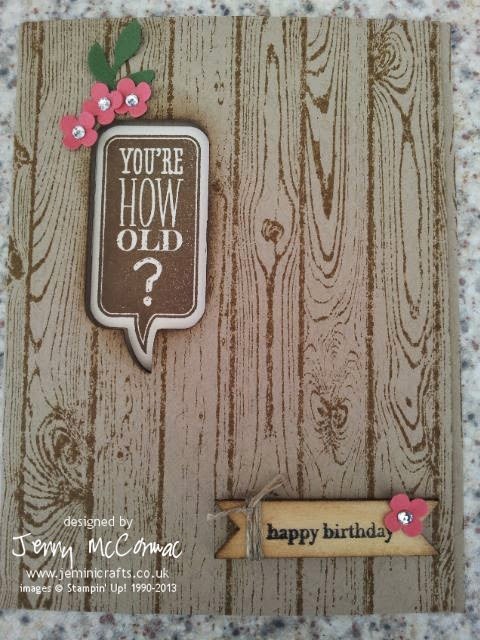 Today I am posting about two Birthday cards that I made recently for a friend. One was being sent from my sister and the other from myself and the family. The first was a personal challenge - I wanted to create a feminine card using the 'Hardwood' stamp, I achieved this by using some Strawberry Slush card punched into small flower shapes. 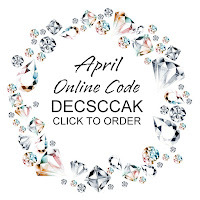 A little rhinestone added to each flower gave it a little 'bling' I love the fun sentiment too - that comes from Just Sayin' a great stamp set with matching Framelits which cut them out! I love our little 'wood' design packs - perfect for stamping a message on them and they come with a variety of shapes, including word bubbles and arrows. 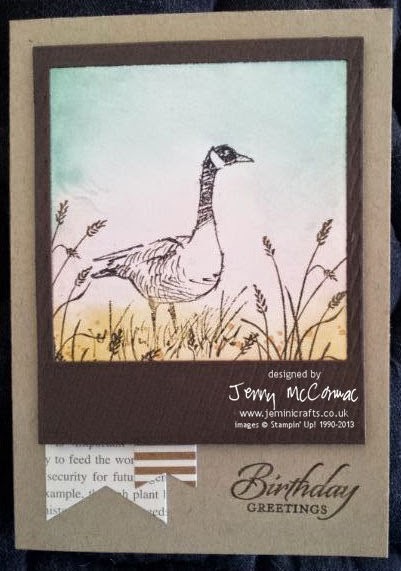 The second card, also for Niki, features the Canada Goose from Wetlands; in this card I used our On Film Framelits which creates a Polaroid effect when mounted over an image or photo. The Birthday Greetings message also comes from Wetlands.